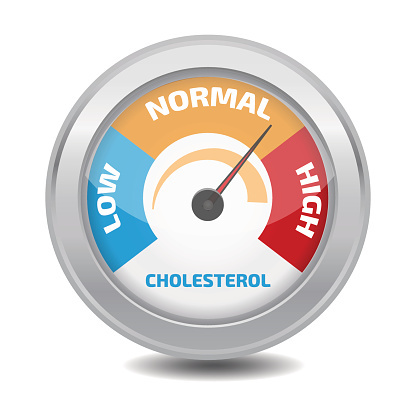 Let’s examine cholesterol levels in children and adolescents. As an adult, you are probably familiar with the need to have your cholesterol checked. But did you know that the American Academy of Pediatrics (AAP), recommend that all children between 9 and 11 be screened for high cholesterol? •Those whose family health background is not known, such as adopted children, or those who have characteristics associated with heart disease such as high blood pressure, diabetes or obesity. Reasons for high cholesterol levels in children: There are many reasons why a child could have high cholesterol, including obesity, diabetes, liver disease, kidney disease or an underactive thyroid. If an initial test does show high cholesterol, your doctor will perform another test in at least 2 weeks to confirm. If the test is still high, your doctor will determine if your child has an underlying health condition. Lifelong Health: Recent reports indicate evidence that children with high cholesterol become adults with high cholesterol. It is important to monitor children who may have an increased risk of elevated cholesterol, and address any underlying health conditions. If you and your family are looking to address high cholesterol levels in children or any other health issues through diet, exercise and other means, consider working with our health coach. Our health coaches can help you identify and address old patterns and habits, and create new pathways for healthy change. Let’s look at ways to get your kids cooking healthy foods. Cooking more meals at home is a great way to improve health. By cooking at home, you can take control over what you and your family eat. Getting kids involved in various stages of cooking has many benefits. Kids feel good about doing “grown-up” tasks, and are more likely to try foods they have helped make. Here are 5 ways to ways to get your kids cooking and to start involving the whole family in preparing meals. 1. Start slowly. Children as young as 2 can be active in the kitchen, but know what is appropriate for their age and for your individual child. At 2, expect that kids can hand you items to put away, rinse fruits and vegetables, and place things in the trash. At 3, kids can start stirring batter and kneading dough, and at 4, children can help measure dry ingredients and assemble sandwiches and salads. 2. Incorporate learning. The kitchen is a great way to sneak in time for reading, math and other skills. Is your 3 year old learning to count? Have them count out and name all the fruits and vegetables in a recipe. Read out recipes from a cookbook together, or practice spelling ingredients in a recipe as you cook. 3. Try new recipes. Children are much more likely to try foods they have helped make. Use this knowledge to try out new foods, especially produce. Children as young as 3 can help assemble salads, and peel fruits such as oranges and bananas. 4. Give children choices. Let your kids have input and suggestions. Find a balance between introducing new foods and allowing your kids to suggest their favorites. When children are involved with cooking and you consistently introduce new foods and recipes, you might be surprised which ones quickly become favorites. For those not so healthy favorites, find healthier ways to prepare them and remember, every healthy diet has room for occasional treats. 5. Cast food in a positive light. One of the biggest impacts of teaching your kids to cook is creating a healthy and positive relationship with food. Cooking meals as a family contributes to time together as a family, producing and enjoying something wonderful together. 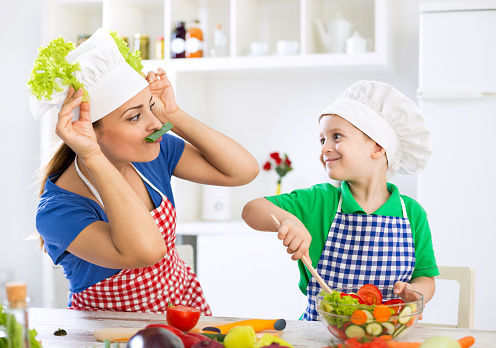 For more recipes and ideas on how to get kids into the kitchen, our registered dietitian nutritionist and health coaches can help you and your family set up a healthy eating plan and shopping list. Let’s look at some ways to make sure your kids get enough fiber. You might be surprised to learn fiber is an important nutrient for not only children but also adults. It is recommended that kids, along with adults, get about 25 grams of fiber a day. Fiber helps prevent constipation, and may reduce the risk of heart disease, certain cancers and obesity. Here, 5 ways to guarantee your kids get the fiber they need. 1. Eat 5 A Day. Fruits and vegetables are full of nutritious fiber. Aim for 5 servings a day, and vary the type of produce so kids don’t get bored. Get double the benefit by keeping the peel on apples, cucumbers and other produce with an edible peel. 2. Look for Whole Grains. Fiber-rich whole grain breads and cereals can be a good source of fiber, but not all products labeled “whole-grain” have the same nutritional value. Read the ingredient list, and look for “whole-grain” as the first ingredient. 3. Good Guidelines. Excellent sources of fiber have 5 or more grams of fiber per serving, and good sources of fiber have at least 3 grams of fiber per serving. 4. Include Legumes. 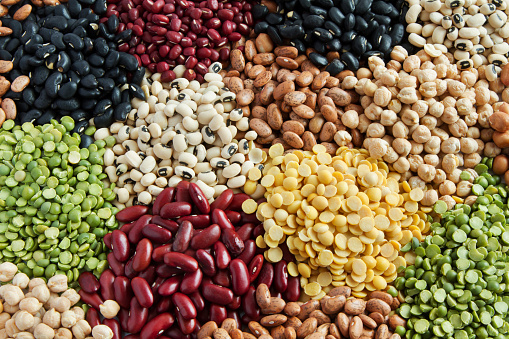 Legumes such as beans, lentils and chickpeas are fantastic sources of fiber. What a great excuse to make taco night a regular occurrence! 5. Snack on popcorn. Popcorn is a great source of fiber! Just pop it yourself and go light on the salt to keep it healthy. These are 5 simple tips ways to make sure your kids get enough fiber. For more ways to include fiber in your kids’ diet, consider working with our dietitian or health coach. 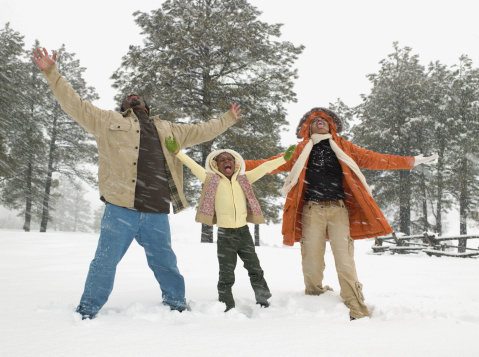 Let’s look at some ways to stay active this winter. While it can be easy to get outside in the summer, winter weather can interfere with anyone’s best intentions to stay moving. Here, 3 simple and creative ways to keep moving even when the weather is less than ideal. ways to stay active this winter #1. Tackle the Weather Together. Shoveling snow is a lot more fun when everyone participates. Make dull winter chores into an opportunity to stay active. Shovel snow, volunteer to help neighbors clear their sidewalks and driveways, or just build a snowman with all that snow outside. ways to stay active this winter #2. Prepare! Going outside and staying active is a lot easier if you are prepared. Dress warmly and in layers, and make sure kids have gloves, scarves, heavy socks and boots. If it’s too cold to be out for long, just take breaks. Even getting outside for 30 minutes for a short snow-hike is better than no movement at all. ways to stay active this winter #3. Stay hydrated. You may be surprised to learn that dehydration can occur easily in cold weather. Exercising in the cold and at altitude exacerbates fluid loss in the body. Stay hydrated with water breaks every 15 to 20 minutes, especially when skiing, snowboarding or any other vigorous activity. With these simple tips, do not let bad weather interfere with your best intentions. For more creative ideas to keep up your family’s activity level in the winter, consider meeting with our health coach to discuss your goals and get the support you need. Or consider working with our fitness coach to learn fun and interactive games that you can play together in the house as a family.